Advanced Intelligent Systems is a leading custom robotics company with the Intellectual Property (IP) to create affordable, autonomous custom robotic solutions to solve real industry problems. The company was founded in 2013 by Farhang Bidram (CTO), a robotics entrepreneur with more than 20 years experience in creating robotic solutions from scratch, and Robert Vahedi (COO), a managing consultant engineer with more than 20 years of international experience at various tech companies, financial institutions and various corporations. Farhang and Robert both had the vision to provide a custom robotic solution to meet an imminent need in nursery and agricultural companies to automate tasks that are difficult or dangerous to perform. Advanced Intelligent Systems was established out of the desire to provide custom autonomous robotic solutions to industries faced with labor shortage challenges for dangerous or repetitive tasks. In 2016, Afshin Doust moved from an advisory position with the company to lead the AIS team as CEO. Under Afshin’s leadership, the team grew from a small team of focused engineers to a full multifunctional autonomous robotics team with Electrical, Software, Mechanical and Industrial engineering departments. To build the custom robotics companies management team, Afshin recognized there were a couple of key roles to be filled to round out the team. It became clear that a Director of Sales & Marketing was essential to build the AIS brand and grow sales. Saeed Govahi joined the management team in 2017. With an entrepreneurial background and over 25 years of sales and corporate marketing experience, Saeed has been a welcome and very positive new member of the team. Ehab Samy is the latest addition to AIS. Ehab has years of experience in Operation and exit strategy. Joining in 2019, Ehab rounds out the AIS management team as Chief Strategy Officer. With professional expertise in robotics, engineering, sales & marketing, and management the AIS team is exceptionally strong. Today, the company attracts top talent from industry and leading universities. AIS provides an opportunity to work in a game-changing industry with one of the world’s top robotic companies. AIS starts R&D in partnership with universities, industry and governments. AIS creates proof of concept for BigTop. Advanced Intelligent Systems has the Intellectual Property to provide custom robotic solutions for numerous practical applications to solve industry’ automation challenges. Today the company has 32 patents for various industry applications, which combine our modular hardware platform with our software platform, employing IoRT (Internet of Robotic Technology) expertise. AIS started with designing a modular custom robot for nurseries, which play an integral part in today’s horticulture industry. The need for labor in the horticulture and nursery industries has been steadily climbing. However, year after year, the industry faces labor shortages. Finding workers to perform the repetitive and labor-intensive tasks necessary in the horticulture and nursery industries is extremely challenging. 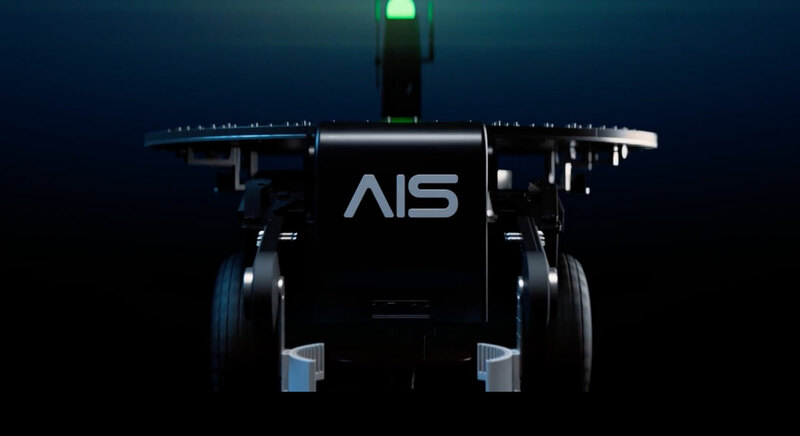 Bigtop is AIS’s flagship autonomous custom robot. It was designed to solve the repetitive and laborious task of moving and spacing pots within nurseries. BigTop is currently in use at Van Belle Nursery in Abbotsford. Van Belle is one of the largest nurseries growing plants for distribution all over North America. Our autonomous custom mobile robots have a modular hardware platform that is integrated with a software base. The mobile robots are controlled and automated through the cloud. This gives us the flexibility to customize tasks. In nurseries, our custom robot can space plants and move pots into carts or from a platform. Eventually, BigTop will be able to pull carts to ease the task of moving plant pots around the nursery. As a custom robotics company, AIS is always looking to meet the needs of the industries we work with. Pruning automation is desperately needed in the horticultural industry. We are currently developing a pruning solution that BigTop will soon be able to perform. While our custom robots are currently in the field in the nursery and horticulture industries, AIS is positioned to solve a number of automation challenges. We are developing IP for custom robotics solutions for other industries, such as warehousing, mining, surveillance and film. Our RaaS (Robot as a Service) business model makes automation affordable. Now companies that couldn’t afford to automate, can. We provide our custom robots on a service basis, eliminating the initial capital investment. Our clients start realizing the value immediately, in cost-savings through increased productivity and enhanced performance made possible by automation. The AIS solution has huge potential. In today’s manufacturing industries, leading companies are needing to automate as we enter Industry 4.0. This need to automate can present a critical challenge. The AIS RaaS business model provides a solution. Working with a custom robotics company industries do not need to expose their workers to dangerous and repetitive tasks. Labour can be directed to more value-added activities.